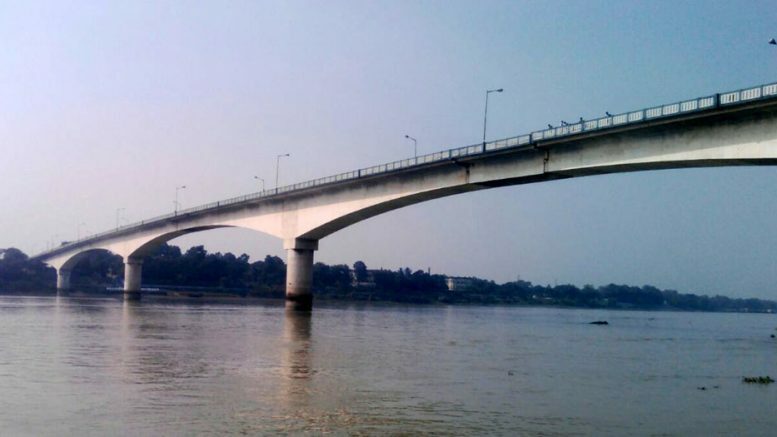 Kalyani, April 19: The Iswar Gupta bridge over river Hooghly that connects Kalyani (Nadia) with Bansberia in Hooghly district will remain close for traffic movements due to repair works to be carried out from the morning of April 22 to May 6 morning (15 days). In an official communication, the state public works department’s Hooghly highway division authorities have informed this today. During this period no vehicular movement will be allowed on the bridge. Both Hooghly and Nadia district administrations have appealed the motorists to use Gouranga Setu in Nabadweep as an alternative route to access either side of the river. The 3400 ft long (1.04 km) long bridge was inaugurated by former chief minister Jyoti Basu during 1989 and since become the main link between Durgapur expressway and NH34 via GT road. At least 2000 vehicles regularly use this bridge. The Iswar Gupta Bridge is under major repair works since December 17 last year when a major snag was noticed on the bridge following which the PWD started rectification works, keeping open one lane of the bridge for movement of pedestrians and light vehicles. On the day a stretch of the bridge found tilted downward following the bearings of the bridge guarders were dislocated. The snag was found out by some local morning walkers who informed the civic policemen at the toll plaza who called the police and stopped traffic movement from either side immediately. While the engineers attributed the snag due to overloading on the top stretch, the locals blame it for lack of maintenance as well as random lifting of soil from the riverbed that caused erosion of soil at the base of the piers. Senior engineers and architects from state public works department, RITES rushed to the spot to immediately and started inspection suspending all vehicular movement even cycling. Sougata Sarkar, Executive Engineer of Hooghly highway division-II said: “The Bridge is in a delicate situation. The metal bearings of guarders have been dislocated creating a void on the top which is being repaired”.